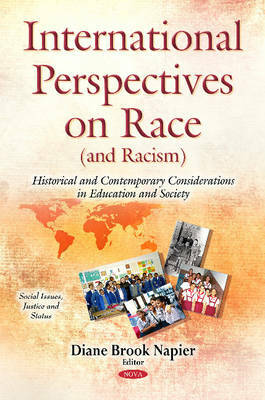 This volume brings together cutting edge research, critical commentary and candid, personal accounts in a rich array of fresh perspectives on the dimensions of race and racism that have been prevalent in many societies (for instance, in education, other sectors of human resource development and mainstream versus minority life experiences). Contributions from countries and settings worldwide illustrate the diversity of experiences and situations regarding race that have existed in a given time period, and the complexity of injustice issues wherein race is one of many interrelated and entwined factors contributing to a situation in a given society. Sub-themes emerge in aspects such as language, religion, gender, age, culture, national origin and immigrant status, migration history, workforce demands and literature. Accounts of pre-colonial, colonial and post-colonial historical contexts and the accompanying shifts in attitudes and policies toward racial groups, ethnic minority groups, indigenous peoples and other subaltern groups offer readers a view on significant changes in the world regarding diversity and identity issues. These matters are rooted in policy and practices of daily life in the context of globalisation and in comparative perspective across countries. Insider perspectives, personal accounts and author testimonies from inside countries add a valuable personal dimension. Furthermore, this collection brings together cases in a wide range of settings, both in developed countries of the north and in developing countries and post-colonial states of the south, and a spread of perspectives from established scholars as well as new emerging scholars. Collectively, the contributions also focus on efforts to transcend the legacies of racism and injustice, exploitation and exclusion. The different cases reveal universal issues and common threads, and also contextually shaped distinctive features within different countries. The result is a panorama of insights on race and related issues as well as prospects for building post-racial societies, ranging from the global level and the local level within countries to personal dimensions. This collection is distinctive in that all regions of the world are represented, and it includes stories from the corners of the world that are seldom highlighted. This volume is a valuable resource illustrating historical and contemporary research along with thoughts on race and racism issues. While the interdisciplinary fields of Comparative and International Education and Post-Colonial Studies are the primary scholarly areas of focus, because of the interdisciplinary nature of the content, it will interest scholars and readers in a wide spectrum of fields including education, history, political science and policy studies, comparative literature, sociology, culture studies, literature, art, social work, development studies, global studies, third world studies and diversity and multiculturalism studies.